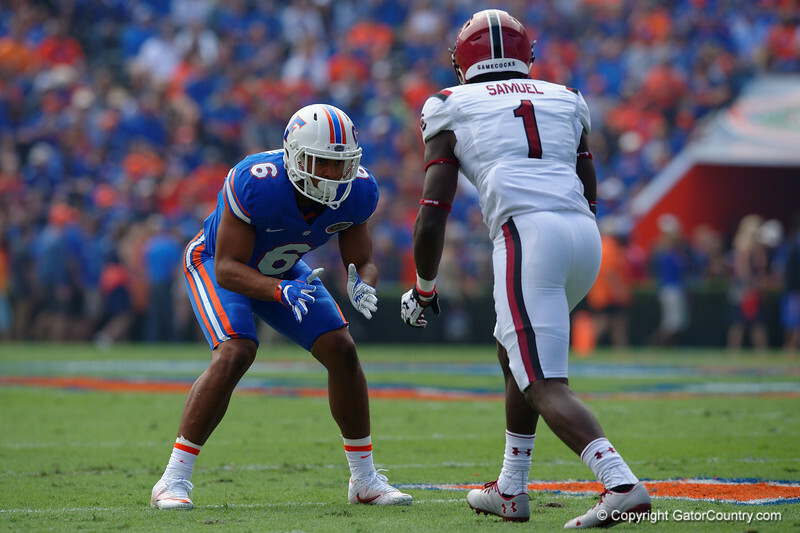 Florida Gators defensive back Quincy Wilson lines up across from Gamecocks side receiver Deebo Samiuel as the University of Florida Gators football team defeats the South Carolina Gamecocks 20-7 at Ben Hill Griffin Stadium. November 12th, 2016. Gator Country photo by David Bowie.